Martin alongside Board members Anne Urquhart and Iain Robertson. Martin Docherty-Hughes, MP for West Dunbartonshire, has offered his full support to team at the Maid of the Loch as they work to overcome a funding setback after the Heritage Lottery Fund pulled out of the project. 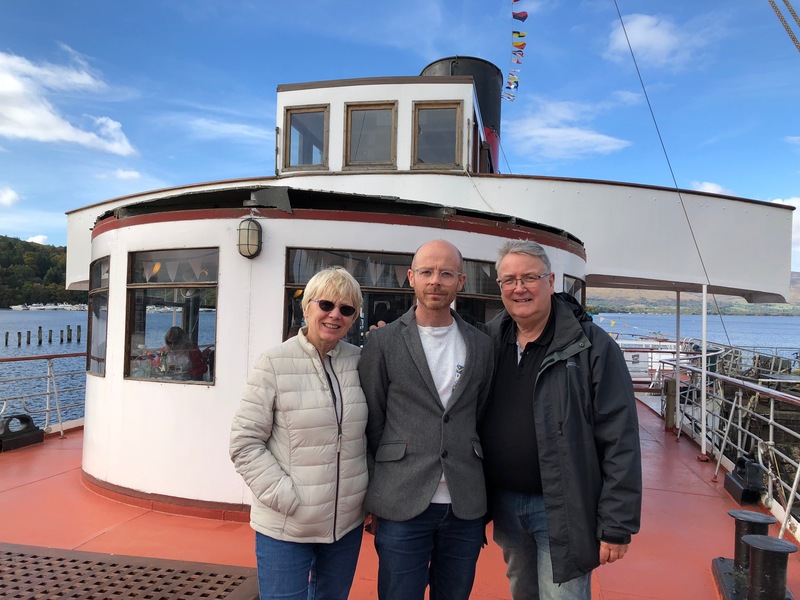 Martin met with the Maid’s board members Anne Urquhart and Iain Robertson to discuss the next steps as efforts continue to get West Dunbartonshire’s iconic paddle steamer sailing again. “The Maid of the Loch is a proud part of West Dunbartonshire’s cultural and industrial heritage. And like many people I am deeply disappointed by the Heritage Lottery Fund’s decision to pull its funding for this vitally important project. “The Maid’s team of dedicated volunteers have worked tirelessly for over 20 years to restore Loch Lomond’s iconic paddle steamer to her former glory. We’ve come too far to give up now which is why I’ve given the board my full support as we work to overcome this setback.